Mechanical issues: Mechanical issues have to do with the movement of the spine. Degenerated discs, herniated discs, wearing of facet joints and muscular issues like spasms and tension are mechanical issues. 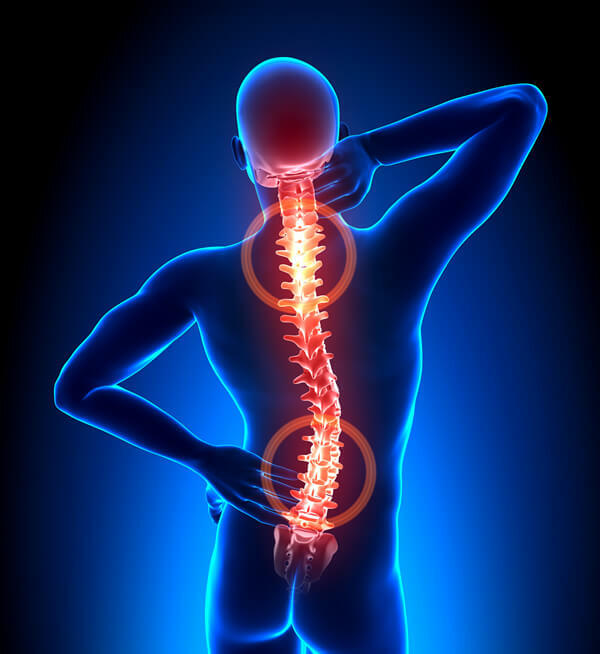 Injuries: Sprains and fractures in the back are the most common injuries to result in back pain. Acquired conditions or diseases: Back pain can be caused by medical conditions such as scoliosis, various forms of arthritis, spinal stenosis. Osteoporosis, pregnancy, kidney stones and endometriosis are not conditions that affect the back directly, but cause related back pain. Infections and tumors: While not common, an infection or tumor could put pressure on the spine, resulting in pain. Stress: Stress can lead to tension and tightening of muscles, which can cause pain. Also, untreated depression, anxiety, and insomnia can all contribute to back pain. The underlying cause of back pain can be difficult to diagnose so most physicians focus on treating the symptoms to help their patients lead a pain-free life. Treatment can range from medication and injections to physical therapy and TENS machine treatment. Studies have shown that regular exercise has a positive effect on the reduction of back pain. Maintaining a healthy diet and weight can also help. In some situations, medical attention may provide the most relief. In other situations, the doctor may prescribe a multidisciplinary approach with medication, physical therapy and acupuncture. Each individual experiences pain differently, so there will be unique treatment plans for each patient. 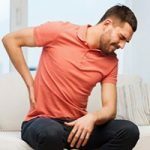 What can I do to prevent back pain? Regular exercise builds the strength, stamina, and flexibility of the back muscles keeping the back strong and pliable and reducing its susceptibility to injury. A healthy diet to control weight will also be beneficial. Excess weight, especially surrounding the midsection, can cause undue pressure on the back and spine. Engage the proper lifting and carrying techniques to limit the chance of injury. You should not try to diagnose or fix severe back pain, doing so may increase the chance of permanent damage. Contact SkyPoint Medical and Vein immediately should you feel a sharp pain or lose mobility from back pain.